I love to cook and have always been committed to family meals. We manage them 4-5 times per week. I love simple, but I love flavor and made from scratch. 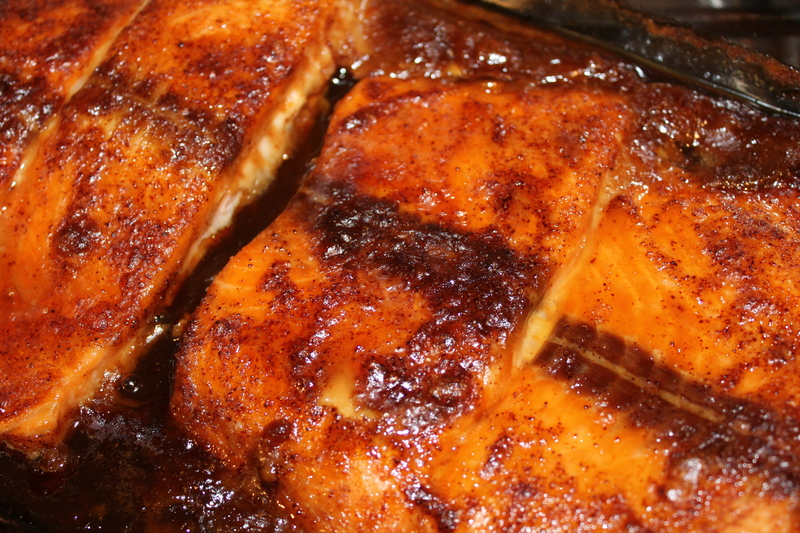 This Salmon recipe has become a favorite. You can grill it on cedar planks or bake it in the oven. Either way the seasonings caramelize and you get this gooey sweet and spicy coating. Begin with skinless Salmon. I love to buy mine at Sam’s. In a separate bowl mix 1/4 cup brown sugar, 1/2 to 1 Tbsp Chipotle Chile Powder (this is a very spicy, smoky spice so be careful if you don’t like heat), and 1/4 tsp salt (I use Sea Salt which brings out extra flavor in cooking). Stir the dry rub mixture together. 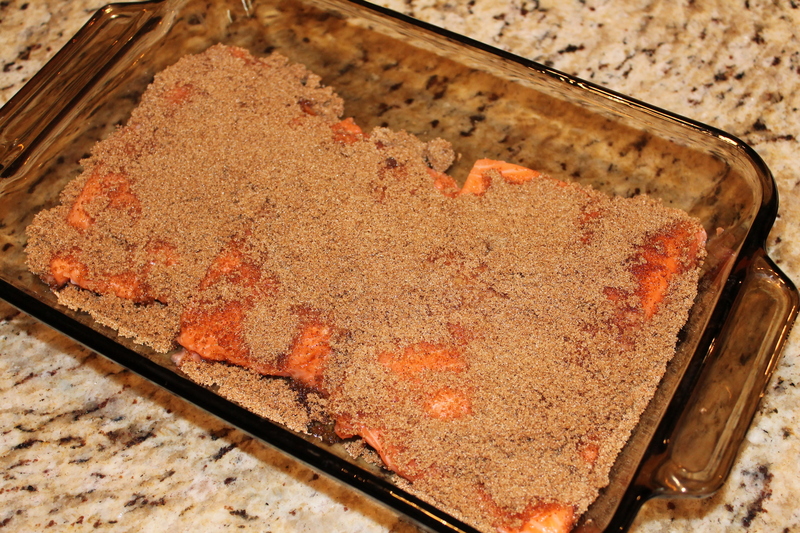 Spoon equal amounts of dry rub over each salmon filet. Gently massage the dry rub into the filets. Cover with plastic wrap and let sit in the refrigerator for at least 2 hours. Best if sits 4-6 hours. If grilling on Cedar planks, make sure you soak the cedar planks all day in water. I will rub a small amount of olive oil on them before placing the Salmon filets. 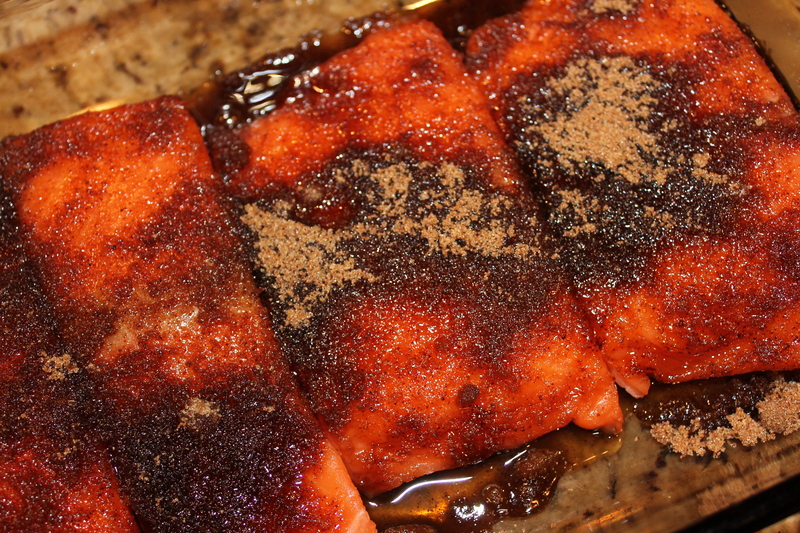 Grill until Salmon is bright pink and you see caramelization of rub. If baking, heat oven to 375 F. Bake for about 20 minutes. Turn broiler on and broil for just under 5 minutes. I usually serve a side salad and steamed rice alongside this dish. During summer and fall I will throw some squash, zucchini and red onions on the grill as a side. Family meals can be done. They can taste great and do not have to mean hours in the kitchen. A little preparation yes, but the time around the table can be captured in no other way.